Hi everyone, it’s Cindy from Little Miss Celebration and I’m happy to be making a summer visit. Doesn’t Jenny’s blog look fantastic? I just love the new look! I hope everyone is having a wonderful summer and enjoying lots of fabulous summer fruit. 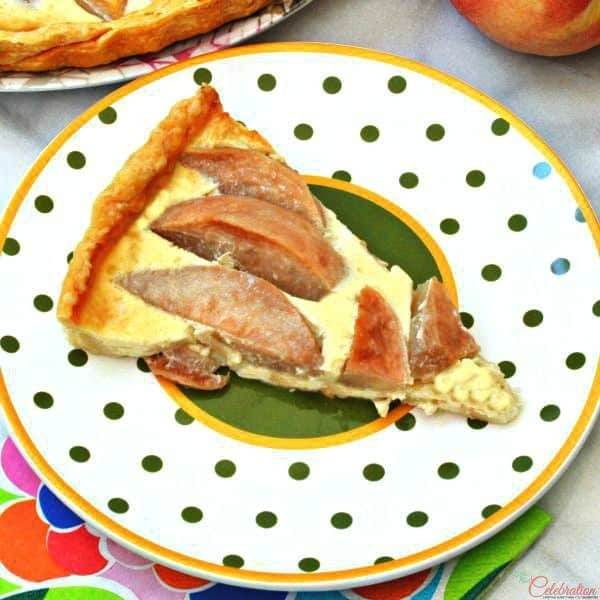 Today, I’m sharing a recipe for a Sugared White Peach Custard Tart that’s super easy to make. You can whip this tart up in no time and everyone will love it! Before I got knocked flat out with this virus, I found some beautiful white peaches at a local produce stand. You could make this with either yellow or white peaches; I like white peaches, which are lower in acid and they taste sweet whether they’re firm or soft. 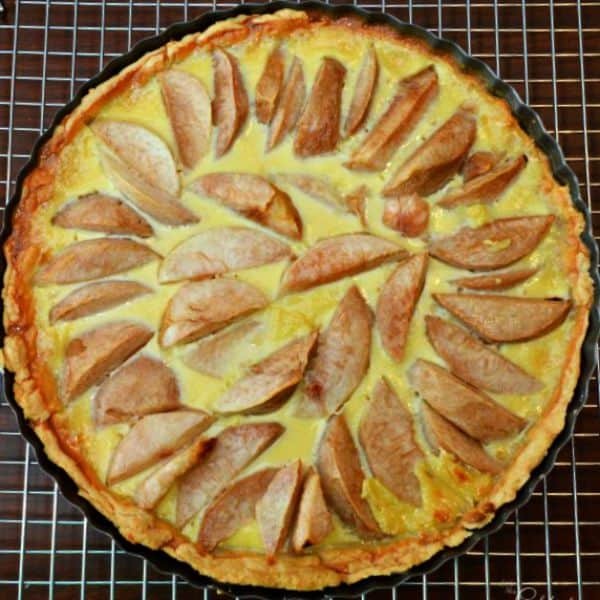 They go perfectly with the delicious custard in this tart, which is rich but low in sugar. You don’t have to rub the peaches with lemon juice to prevent browning; we’re brushing the peaches with melted butter and sprinkling with sugar, so the peaches kind of brulee while baking. It helps to use tart pan with a removable bottom, which makes it easy to remove the tart once it has cooled. If you don’t have one, just let it cool and serve it right from the pan. This recipe goes really fast if you use ready-made pie crust, like I did, though you can always make your own favorite crust. It took 1 ½ rolls of refrigerated crust to line my 11” tart pan. Let the crust chill in the fridge or freezer for about twenty minutes before filling. The custard filling blends up in just a few minutes. I recommend placing the tart pan on a cookie sheet while it bakes, just in case any of the custard happens to leak out, which always seems to happen to me! Serve the tart at room temperature or chilled. Wrap leftovers tightly and store in the fridge – I’m sure this tart won’t last very long! Here are a few other treats to try this summer! The summer just seems to be flying by, so enjoy every single moment! Jenny, thanks for letting me visit today and I hope to see everyone soon! 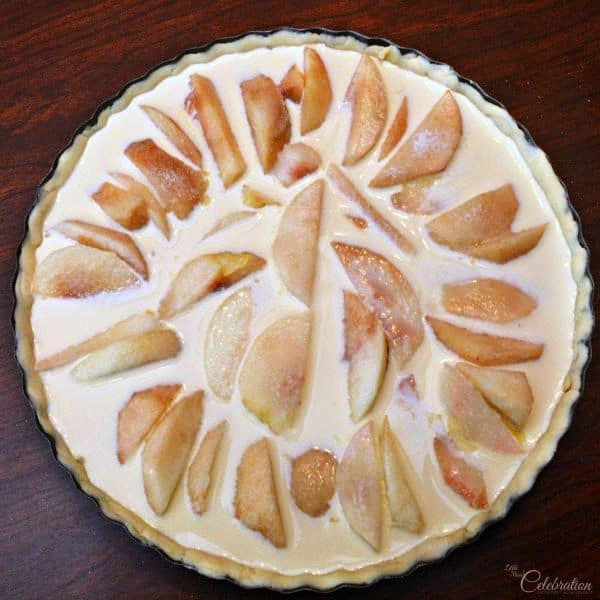 Using ready-make pie crust, you can whip up this delicious Sugared White Peach Custard Tart in no time. Butter and sugar brulee the peaches while baking and the silky custard is delicious! On a floured board, roll out pastry to fill a 10” or 11” tart pan with a removable bottom. 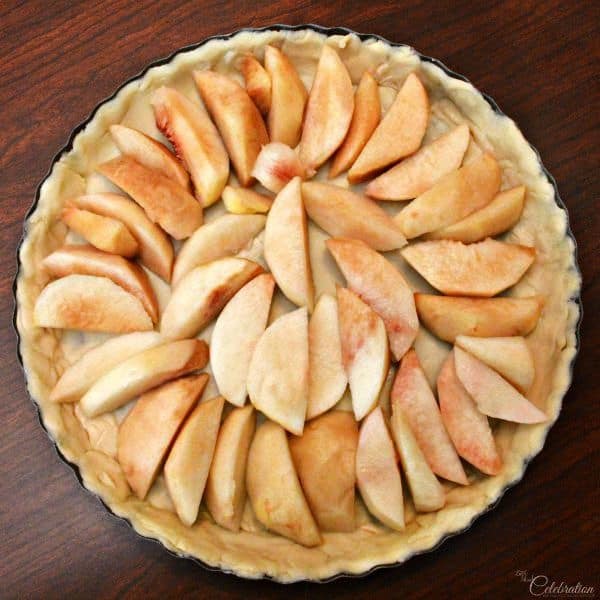 If using refrigerated pie crust, you will need 1 ½ packs to line an 11” pan. 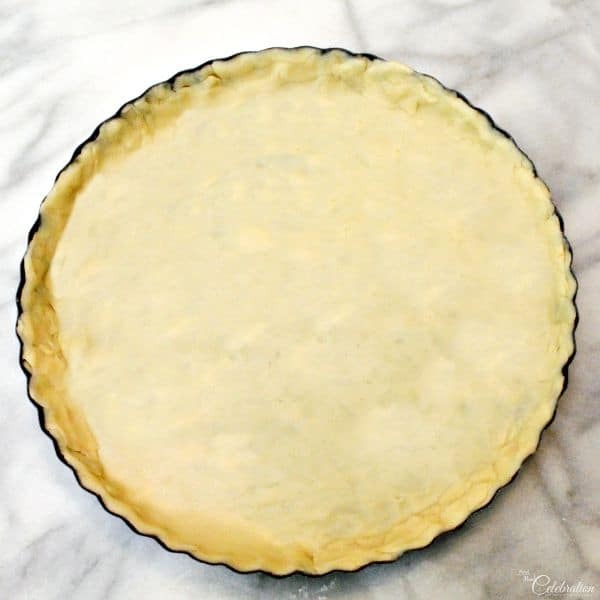 Line tart pan with pastry and trim edges; place the tart pan in the freezer for 20 minutes to chill before filling. Arrange cut peach slices on their sides in the pastry shell. In a large mixing bowl, combine cream, vanilla extract, eggs and 4 tablespoons of sugar and beat until well combined. Pour custard into the tart shell. Brush peaches lightly with melted butter and sprinkle generously with remaining sugar. Place tart pan on cookie sheet in case there are any custard leaks! Bake tart in 350 degree oven for 60 minutes until filling is set and crust is golden. Cool tart on wire rack. When cool, remove tart from outer ring. Serve at room temperature or chilled. At Little Miss Celebration, Cindy shares crafts, treats and recipes to help make all the big and little celebrations of life creatively fun, with a big side of laughter. Hi, I think part of the recipe is missing (?). The tart looks divine! Peaches are my fave! This looks and sounds wonderful, Cindy!